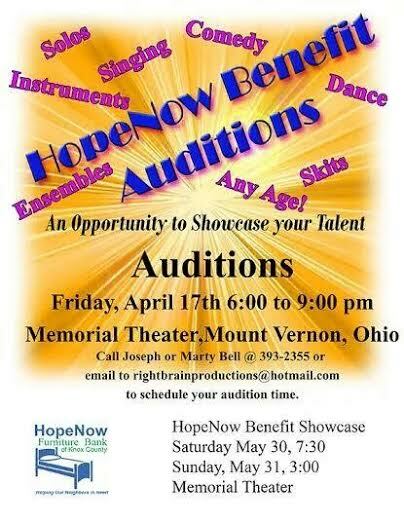 Now is the time to contact Joe or Marty Bell and get signed up for an audition for the annual HopeNow Furniture Bank Talent Showcase which will take place May 30 and 31. Last year we filled Memorial Theater and had a wonderful time introducing Knox County friends to some great talent from our area. This is a way that you can get some recognition for your talent, assist HNFB to raise needed funds, and aid local people in need all at the same time. And to top it off, you’ll have a great time doing it! Come join us! 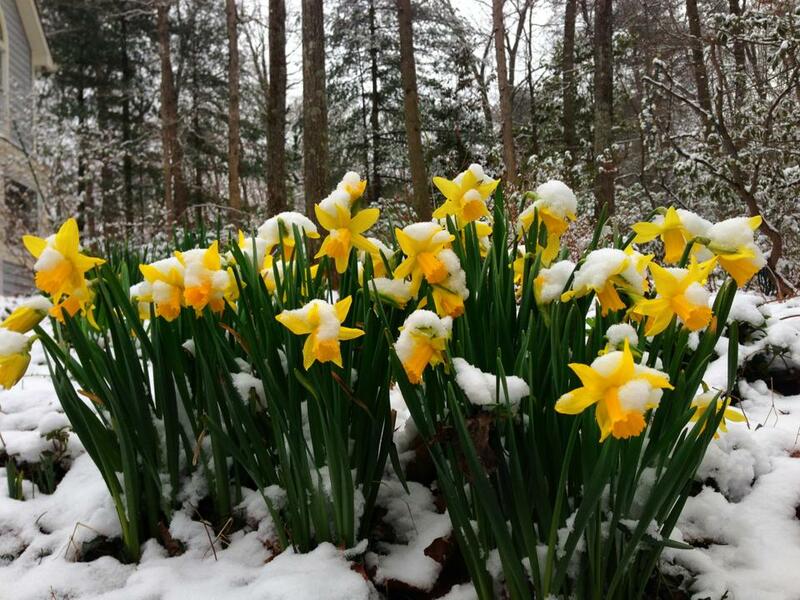 Winter has been long, and while Hopenow Furniture Bank warehouse operations have been interrupted somewhat, we certainly have not been hibernating! During the last 2-3 months, executive board members have repeatedly met with a very knowledgeable consultant, collected and analyzed organizational data, brainstormed on strategy, met with community business leaders, applied for grants, created new documentation forms and made plans for coming events. A few very committed volunteer board members have worked countless hours, excited about the future of HNFB. 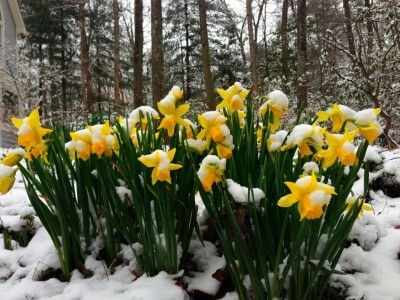 Spring is coming, and with it, new hope for the days ahead and the work that we are doing in the communities of Knox County. Statistics show amazing growth over our short history of 9 years. (See our Community Impact Statement-HopeNow_CommunityImpact-2013-2014_2014-01-05-0850) Yet the need is so great! Currently we have a waiting list of people in need of basic furniture. Do you have some unneeded, usable furniture that you could donate? Call 740-358-2998 to arrange to have it picked up free of charge. Do you have a few hours a week to volunteer? We have a variety of tasks to be done.